Born in Éibar in 1971. She started her Romance Philology studies in the 90s, but didn’t get her Degree until fifteen years later. During these years, she worked as security guard, baker, waiter, clerk, and office cleaner. She lived in Santiago de Compostela and Eibar. Passionate about dialectology, onomastics and the teaching of language, which is why she has been widely trained at the Cervantes Institute. 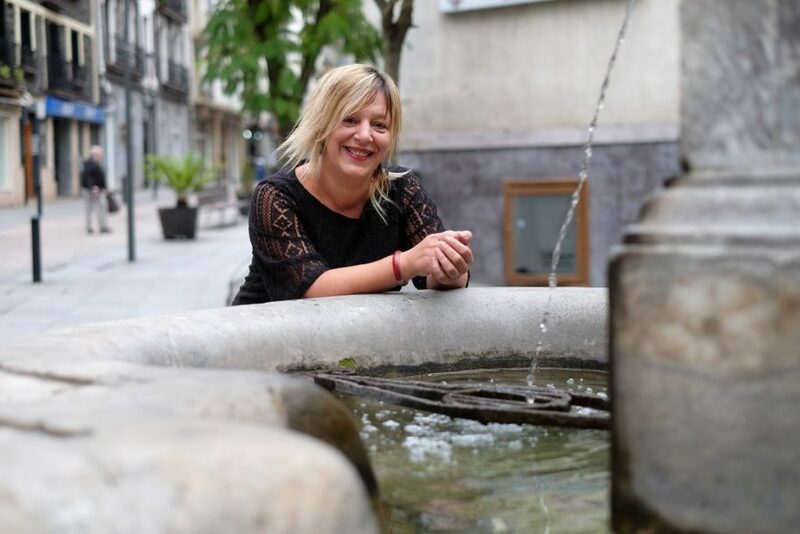 As a result of her training and her experience as a volunteer, she has developed an educational method called Empalabramiento (Enwordment) dedicated to the empowerment of foreign women through the learning of Spanish as a second language. Empalabramiento wouldn’t have existed if, in 2007 she had not reported being a victim of gender violence. This fact led to a vital journey of personal recovery, influenced by the school of empowerment (Jabetze Eskola), the Foundation of the Association of women victims Mujeres al Cuadrado and especially the Hamairu therapy in Pagorriaga with which she was born again. She understood that the responsibility of her life is only hers, and she forgave. She took back the reins of her life with strength, making her dreams come true and ever since, has lived situations that she could have never imagined: in 2016 she was awarded the Gure Balioak Prize, in 2017 the documentary Volar, in which she participates with her testimony, was premiered at the Zinemaldi.